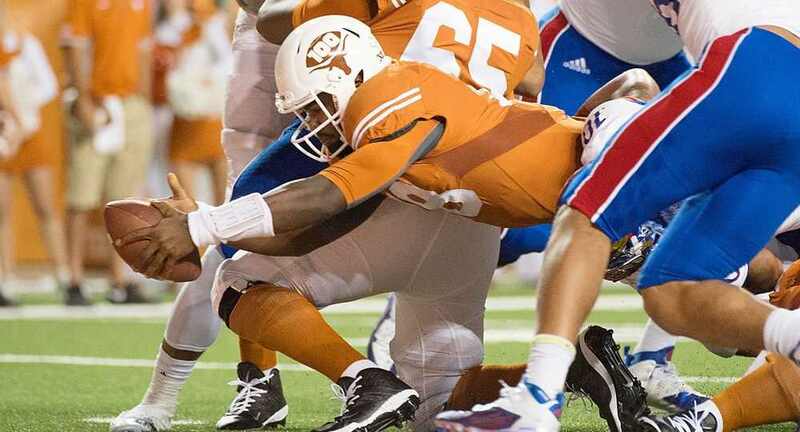 Texas football head coach Charlie Strong said that senior Tyrone Swoopes (above) and true freshman Shane Buechele both will play in the Longhorns' season opener against Notre Dame (photo courtesy of texassports.com). Which Texas team will show up when the Longhorns and Notre Dame open each other’s 2016 college football campaigns Sept. 4 at DKR-Texas Memorial Stadium? Will it be the one that manhandled Oklahoma last season, the one that built a big lead against Baylor in the season finale before holding on for the win at the end? Or will it be the squad that laid a massive egg in a 24-0 shutout at Iowa State?